Of all the disruptions that come with PCS’ing, perhaps the most frustrating one is finding work on the other end as a military spouse. Sometimes we move to locations where the employment pool is less than… well, let’s just say it’s not as robust as another location. If you’re looking to stay mentally stimulated, keep your resume current, and continue to contribute to the family income, here are some tips on what to do if you are headed to an employment desert or are maybe seeking more flexibility. 1 ) Transition a current position into a virtual one. Logistics — Do you answer phones? Go ahead and set up a free Google Voice phone number with the local area code. Moving to a new time zone? Offer to work during local hours (if possible) and make necessary accommodations for team meetings, etc. Face Time —Some employers really like seeing you in the office, and let’s be honest, if you’re the only employee behind a screen you’ll quickly feel out-of-step with the rest of the team. If you’ll be close enough to travel into the office every now and then, then be sure and offer to! I once commuted into San Francisco once a week from Monterey (2-hour drive) for requisite “face time” with the office. Tech — If your office/employer isn’t already up to date on the tech available for distributed teams (fancy way to say that they’re remote worker friendly), enlighten them! Apps like Slack, Basecamp, AirTable, Skype, GoTo Meeting, DropBox, Google Suite, (I could go on and on…) make working across the country as easy as working across the hall! Perks— Retention is often more affordable and efficient than recruiting! Make your case for the benefits of keeping you on versus recruiting, onboarding, and training up someone new for your role (or a new one that you’ve cleverly crafted for them). Don’t be afraid to remind your employer about the value you bring (and have brought) to the organization. You’re going to have to start tooting your horn if you go on a job search, so use the same tactic with your current boss! Pro Tip — Talk to people who have successfully done this for advice on how to approach your employer. Talk to employers and understand their reluctance or hesitations for distributed teams, then figure out a compromise that is mutually beneficial. Hiring our Heroes Military Spouse Professional Network has a virtual chapter of their organization on Facebook that is a fantastic place to pose these questions! My first foray into the remote work world was with an agency for virtual assistants (VAs). I had never before considered this line of work, but #militaryspouselife. I quickly learned that the work was engaging and my clients were amazing! They were scattered across several industries (craft beer startup in NYC, CrossFit box owner in DC, and oil tycoon/venture capitalist in San Fran), and my world quickly got a lot bigger with limitless potential. There is practically NOTHING that can’t be accomplished with the right tools, a smartphone, and WiFi. One key differentiator between working with an agency versus striking it out on your own is that I was invested in as an asset from day one. The agency conducted a 2-week onboarding and training which taught me almost everything I needed to know. There was also a thriving support community that gave me access to other VAs (and their brains and connections). If I needed help with a particularly vexing task I could lean on them! So unless you’re seasoned in the industry you’ll be working in (VA or otherwise), be sure you’re getting your feet wet in a community that you can learn from. Pro Tip — If possible, try to find an agency that will let you work with the same clients, a.k.a. dedicated services. 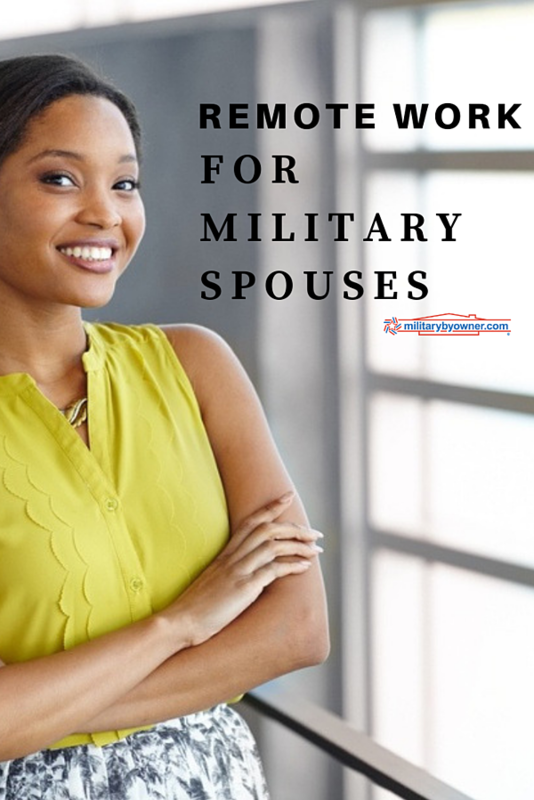 There are also many military spouse run companies that actively recruit military spouse talent because they recognize YOUR intrinsic value to this industry! Check out Powerhouse Planning’s perspective on the topic. Gig economy work can be either be completed virtually (freelance services like writing, editing, graphic design, etc.) or physically. Uber and TaskRabbit are two behemoths in the gig economy space. Gig economy workers are 1099 Independent Contractors, meaning they align with an online marketplace and essentially work directly with their customer/client and are not drawing a paycheck from an employer. This distinction comes with its own unique set of pros + cons, but the flexibility is attractive to many. A popular new gig built specifically for military spouse talent is the MILLIE Scout network — designed to help military families with the relocation process. MILLIE contracts PCS-savvy milspouses to be someone’s eyes and ears for relocation-centric tasks when they can’t be there to do it themselves. Scouts are helping families across the United States make informed decisions about renting a home they won’t have the chance to tour in person and alleviating some of the stress of self-managing a property they still own at a previous duty station. Scouting is a great opportunity for military spouses to earn some extra income (jobs range from $50–$100+), help someone else through their PCS to a new place, and share their local expertise with incoming families! MILLIE Scouts are vetted based on their experience as homeowners, self-managing landlords, and/or chronic PCSers, then go through a comprehensive video onboarding ecourse. They also have access to a private Facebook group with the entire Scout network. When Scouts PCS, no big deal! They can just change their location on their profile and take their listings (and their reviews!) with them when they go. Searching for a job at a new duty station is stressful and sometimes downright disheartening. Don’t limit yourself to what's available locally — expand your search and take this as an opportunity to stretch your skill set and explore non-traditional forms of employment. You might just land on something fantastic! MILLIE is an online community and digital marketplace that connects members of the military and their families with specialized knowledge and trusted resource providers to remove the stress and anxiety of PCS’ing. Check out MILLIE’s Installation and Neighborhood Guides, our network of Veteran and military spouse Realtors, and Scout, our on-demand task service composed of military spouses.